The same check for 40 years began to seem a little square. Hastens' famous check pattern turned 40 in April 2018. We wanted to celebrate. But what do you get for the bed that has everything? After a little thought we came up with the perfect present: to create contemporary interpretations of the check by the internationally recognized design duo, Bernadotte & Kylberg. The result was two innovative bed. beds that last. They are driven by creating iconic design that lasts, while always keeping function and the end-user in focus. We got a lot of the inspiration for the new beds from Hastens' origin as saddle makers (chat's how we scarred before we switched gears and focused on beds). This is evident in Marwari's fabric, with an advanced tactile structure that resembles saddle cinches. Even the names have equestrian origins. Ocher inspiration came from Cubism. The development work took two years and included creating a new weaving technique. We also cook our detail work to an even higher level. Read more about Marwari and Appaloosa on che following pages. We feel chat we have added two more classics to our stable. Hastens tradition with a contemporary twist. Exquisite leather trim. Ornate seams. Our own weave technique. You could call it excessive. over-the-top-notch, this is definitely the bed for you. 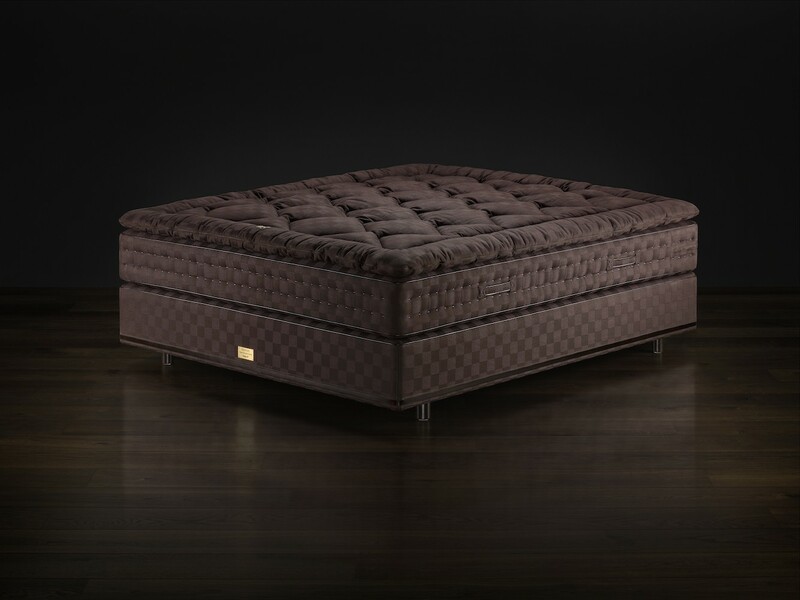 The perfect bed, stylishly refined to the smallest detail. What happens when you lock two award-winning designers in a room with a Hastens 2000T? Like all great designers, they see it from a new perspec­tive and discover new possibilities. a completely new bed that is improved down to the tiniest detail. And we really mean the tiniest detail - after all they took two years to perfect it. Hastens Marwari pays homage to our heritage as master saddle makers. For the fabric, we were inspired by the intricate structure of saddle girth - that's the band that passes under the equine to keep the saddle in place. To get this fabric to the desired pliability, an entirely new weaving technique had to be developed. And that's just one example of how obsessed this team was with perfection. The rich brown color, with its natural luster, evokes images of the majestic Marwari horses of India (hence the name). The beautiful color of the leather trim was achieved with natural plant dyes and completes the design of this bed as a sophis­ticated oasis of sleep. Marwari is also as comfortable as it is elegant. The triple spring system and 31 layers of selected natural materials act together to provide different aspects of your body with the support and com­fort they need. Essential for those who want to be perfectly rested. Every night. And every day. A footnote: Legs designed exclusively for Marwari. Made of birch and leather. 0 5.6 cm. Height: 9 cm. 203.1 kilograms of refined perfection. 1 Bonnell spring system, 13 cm high, with machine ­knotted coil springs. YOUR BODY IS UNIQUE. JUST LIKE YOUR MARWARI CAN BE. For Marwari, there are also custom-designed accessories.